Get ready for more Google in your life. A slew of household gadgets based on the company’s Android operating system will debut within the next five months, a new report says, including several high-tech remote controls for your home. 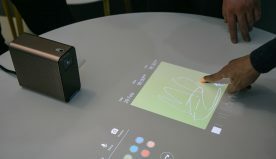 The news comes by way of touchscreen-driven device-maker Touch Revolution — the same folks who introduced the Android-based NIMble Concept Desk Phone at the Consumer Electronics Show in January. The NIMble phone, featuring a 7-inch touch-sensitive screen, attempts to put the power of a smartphone into tabletop form, allowing you to access contacts, calendars, and e-mail through a user-friendly interface. The new devices, as described to Forbes , will follow the same basic model: bringing the functionality of your mobile phone into your (presumably non-mobile) home. A Touch Revolution marketing exec tells Forbes several “well-known companies” will be using its touch technology to create the gadgets, and they’ll all be hitting store shelves before the end of the year. The home control gadgets — or super-sweet remotes, in non-geek speak — will serve as powerful command centers for your entire house. According to Forbes, the devices will be able to handle everything from switching on lights to locking doors and adjusting the A/C. They’ll have screens anywhere from 4.3 to 10 inches and will be Web-connected through your home wireless network. The old remote will feel as outdated as a 5.25-inch floppy compared with the media control devices on the way. 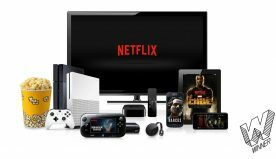 The gadgets will enable you to control all your media devices from one tablet, letting you adjust the sound, program the DVR, or even browse through TV listings right from the built-in screen. And, no surprise, you’ll be able to surf the Web from these clickers, too. Unfortunately, all the impressive additions won’t make the remotes any less likely to disappear between the couch cushions. Like the aforementioned NIMble phone — which, by the way, is rumored to become available for about $300 in September — the upcoming Android home smartphones will do far more than just help you communicate. The cordless devices will give you phone access, of course, but they’ll also connect to wireless networks to allow for VoIP connections and online data retrieval. Plus, they’ll be able to run Android applications, so you could use them as photo frames or possibly even game consoles. Touch Revolution tells Forbes the new Android devices will come in a variety of shapes — some with bases for tabletop use, others with flat shapes built more for holding or wall-embedding. Touch Revolution is handling the touchscreen and Android side of the deal, while the other companies are creating the hardware and managing the branding. The gadgets, according to the Forbes interview, will be available in the United States, as well as in other unspecified countries. On the whole, Android is expected to see enormous growth over the coming months. One research firm goes so far as to predict a 900-percent increase in Android adoption this year — and that’s accounting only for smartphone sales. 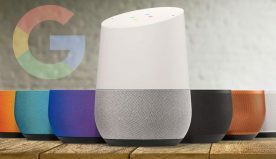 Add in these new home gizmos and the host of other Android devices currently under development, and the platform certainly appears to be one worth watching.